Sky+ HD is the HDTV service launched by BSkyB on 22 May 2006 in the United Kingdom and Ireland to enable high definition channels on Sky to be viewed. With Sky+HD you get access to the UK’s widest range of high definition programming, with over 50 HD channels‡ on offer, showing TV in up to five times more picture detail with superb digital quality sound. With one touch recording, you can watch your favourite TV at a time convenient to you. You can also use Remote Record to set your Sky+HD box to record from your mobile or online if you’re not at home, you can pause what you are watching so you do not miss a second. Planning your viewing has never been easier. Use Series Link and every episode of the selected series will automatically be recorded on your Sky+HD box. A number of FTA HD channels are available which do not require a subscription, only an HD capable Digibox such as the Sky+ HD box. BBC One HD, BBC Two HD ITV HD (Viewers in Scotland receive STV HD and in Northern Ireland UTV HD) and Channel 4 HD are broadcast free to air. Channel 5 HD is part of Sky’s Entertainment Extra package. A subscription to the HD Mix carries an extra fee on top of the standard Sky subscription. This fee allows customers to view all non-premium HD channels even if their chosen mix does not include the SD versions. Thus someone without the Knowledge Pack cannot view the Standard Definition Discovery or National Geographic but they can view the High Definition versions. To receive all HD channels, a customer must subscribe to the Sky Movies and Sky Sports packages. Without a subscription to Sky Movies or Sky Sports, Sky Movies HD and Sky Sports HD respectively, will not be available. From September 2010, Sky HD customers will only see the HD channels that correspond to the mixes they subscribe to. Thus, Discovery HD and National Geographic HD will only be available if you have the Knowledge mix in addition to HD. Customers who have subscribed before August 2010 can continue to receive all HD channels as before by contacting Sky until the end of the 1 year HD mix. The HD mix, unlike the entertainment mixes, has a one-year minimum subscription and a 31 day cancellation period so cannot be added and dropped in the same way. Sky+ recording facilities are included at no cost if a customer subscribes to any Sky package. Viewers who do not take a subscription channel package will still receive all free channels, but cannot use the recording facilities, although they can be subscribed to standalone for a monthly payment. Additional Pay-Per-View events on Sky Box Office HD are not available to customers unless they subscribe to the Sky HD mix. 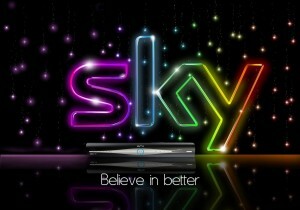 As of January 2010, customers are offered the Sky+HD box as standard, and it is now optional to take the HD package. The HD package still remains at the same subscription price. The Sky+ receiver is no longer listed for purchase on the Sky website, and the Sky+HD is now classed as the standard box installation. 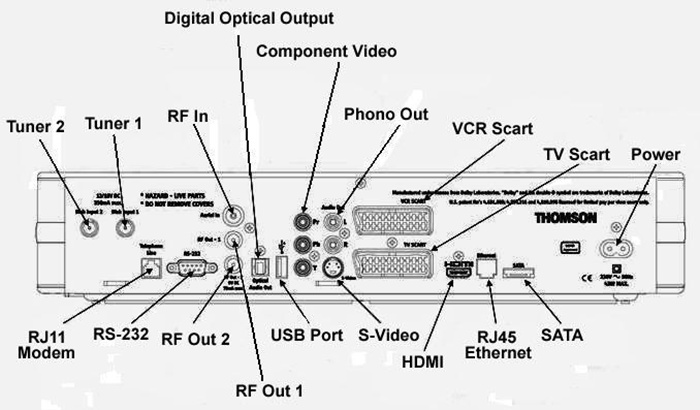 The first generation of Sky HD Digibox was produced by Thomson. Sky have since added Samsung, Pace and Amstrad as manufacturers. The Thomson box has been discontinued and is no longer available as an A-grade/refurbished item due to its inclusion of YPbPr component video. For connectivity with HD ready televisions, the box outputs via an HDMI connector (adapters to Digital Visual Interface are available). The receiver is High-bandwidth Digital Content Protection (HDCP) compliant. Skyboxes manufactured prior to January 2008 also had analogue component connections (YPbPr), but as the HDCP copy protection cannot be applied to this type of output it is no longer included. Traditional standard-definition (SD) connections are available via SCART and S-Video. All programming is currently output from both HDMI and SD connections, although individual broadcasters have the option to require HDCP (and therefore HDMI) in the future. The Digibox also comes with a new slimline version of the Sky+ remote control. All HD channels are broadcast in 1080i format (though the receiver can be set to scale this to 720p if the user wishes), using the H.264/MPEG-4 AVC compression standard, from Astra 2, Astra 2F and Astra 2G satellites at 28.2° East. The Version 5 EPG (electronic program guide) is almost identical to the one found on Sky+, with the exception being that by pressing TV Guide and then number 2 on the remote control, listings for only the HD channels are shown. An update was sent to the HD boxes early on March 20, 2007, which also included code for Sky Anytime. Sky Anytime TV is accessed by pressing “TV Guide” and then the red button. Version 8 of the Sky Guide, dubbed the Sky HD guide, has been gradually released throughout 2009 in phases based on the equipment manufacturer. This version boasts a Mini TV (similar to that in version 5’s Sky Anytime), improved search functions and a completely new look. On 1 October 2010, Sky began the process of downloading open-source software to Sky HD receivers. Unlike the majority of software upgrades made by Sky, the open source licences require Sky to notify customers that the download has taken place. Subscribers are notified with an on-screen message that refers them to a dedicated section of the Sky website. The website also includes a download of the open source components including the building environment. Sky says that it has found a number of Open Source Software developments that provide capabilities that benefit the software used in the Sky HD receiver. 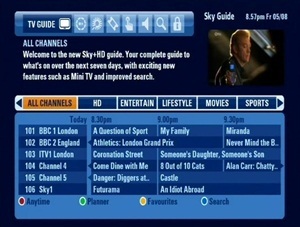 Since the launch, the Sky+HD EPG has been based upon the Sky Guide, which has changed little since the launch of Sky in 1998. For two years, Sky has been working on a completely new EPG exclusively for Sky+HD boxes. This was first made available to customers with Thomson boxes in March 2009. As of December 9, 2009, all Thomson, Pace, Samsung and Amstrad models have been upgraded to the new EPG. Further information and details about the EPG are available on the Sky+HD Guide website, with a user guide on how to use the EPG and new instruction manuals for the boxes. The channel listings will now be cached on the hard drive, freeing up the tuner so that users can continue to view programmes in a small Mini TV while browsing the TV Guide. The data is stored on the hard drive also means that loading times decrease and synopsis information can be displayed for channels other than the one you are watching. Other features include a significantly improved programme search system. A Series Stack which groups episodes of the same series together in the planner, and the ability to highlight HD programmes in the TV guide. The new EPG is also presented in 1080i, rather than the previous upscaled version. 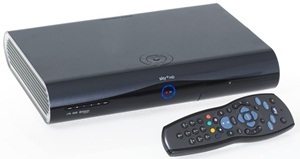 As of 9 December 2009, all Sky+HD receivers have been updated to the new Guide. The current EPG Software Version for Thomson boxes is Sky+ 8.3.2. Amstrad 780 boxes are on Sky+ 9.10.14v or 42.0.5.1_3. The latest version available for the Amstrad 1Tb and 500Gb, Samsung and Pace boxes is 40.0.14.1. On 30 July 2009, Sky confirmed the launch of a ‘pull’ video-on-demand (VOD) service for 2010, adding to the current Sky Anytime ‘push’ VOD service. The service, delivered by broadband internet, will utilise the Ethernet port of existing Sky+HD boxes. Sky’s Anytime+ will only be available to Sky broadband at launch but sky says it will be on all service providers in the near future. Although the service may be similar to DirecTV’s VOD offering that also uses an operating system built by NDS Group, a Permira/News Corporation company. Sky have started the phased roll-out of the new guide software for this service. 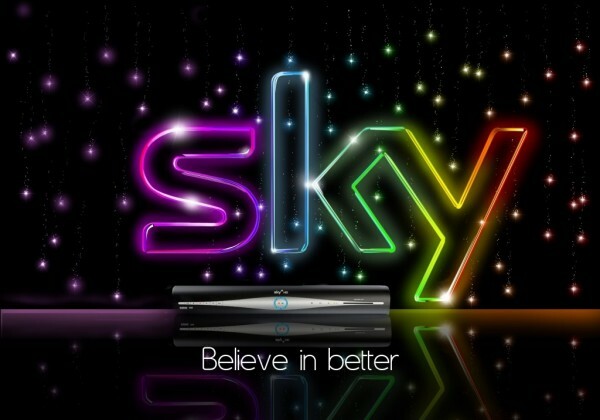 On 29 April 2010, BSkyB revealed that it will name its video-on-demand service Sky Anytime+. Sky announced in January 2011, that they are planning a new EPG for Sky HD subscribers which will switch the standard definition channel with the High Definition simulcast. For example, Sky1 HD, currently on channel 170, will switch to channel 106, which is currently occupied by Sky1. Similar moves will happen for other non-regional HD channels, including Channel 4 HD, Five HD, Syfy UK, Comedy Central, and Sky News. The Sky+ for Android and iPhone application lets subscribers with a connected (UK landline) Sky+HD box dial in recordings from their phone. 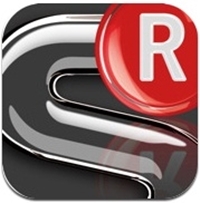 The app also lets users access Sky’s seven-day EPG, so they can browse listings by time, programme name or day, with a single press needed to select single shows or a series link to bag an entire run of episodes. Users first need to register for a My Sky account at Sky.com and set up Remote Record on their box at home, and then they should be ready to remotely record. Recordings set up via the Sky+ Remote Record app have to be imputed at least half an hour before the start time, and once it’s going you can’t delete the request from the handset. When you first connect your Sky+HD receiver to the mains, it will take a few minutes before it is ready for use. 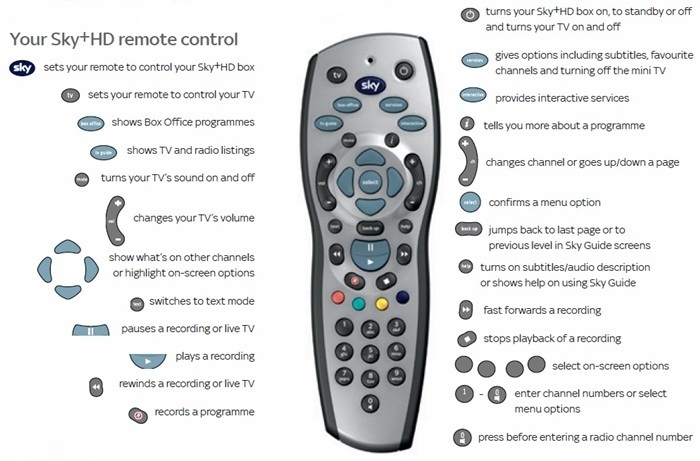 Press the Sky button on your Sky+HD remote control to turn the box on, and wait for a few moments for it to start up. To turn your Sky+HD box to standby, press the standby button on your remote control. To turn your Sky+HD box to off, press and hold the standby button for 5 seconds on your remote control. The standby light on the front panel is red when your Sky+HD box is plugged into the mains. The light is green when your Sky+HD box is on. The light is amber when your Sky+HD box is in standby. Switching your Sky+HD box to standby when it is not in use can save up to 50% of the energy it uses. Remember that the box can still make recordings when in standby. when the box is off, it cannot make recordings. Sky+HD features an energy-saving mode called Auto Standby. If the box is inactive throughout any two-hour period between 11 pm and 4 am, it automatically goes into standby. Just before this happens, if your TV is on, you see a message on-screen. You can press BACK UP to remove the message, otherwise, your Sky+HD box goes into standby. This does not affect any recordings you have set, as the box can still perform up to two simultaneous recordings while in standby. the SKY+ SETUP tab. Highlight Auto Standby and use left/right to choose OFF then press GREEN (Save Settings).